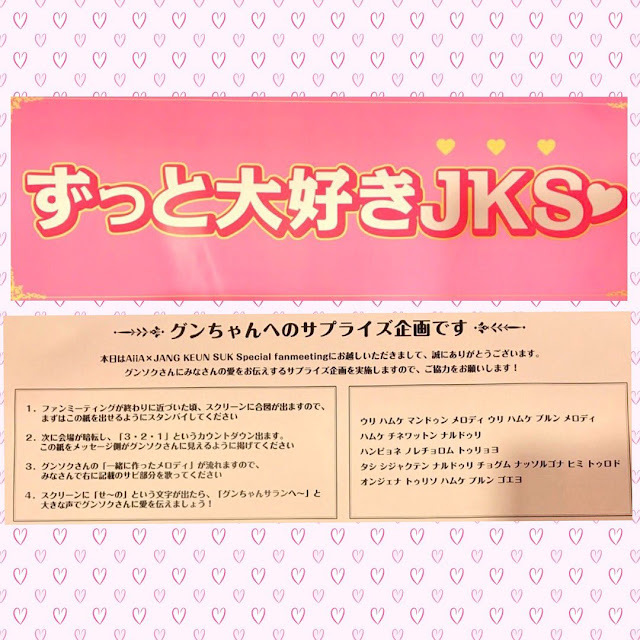 Eels who attended the Toki Meki Love Game Fan Meeting posted a few photos from the event. 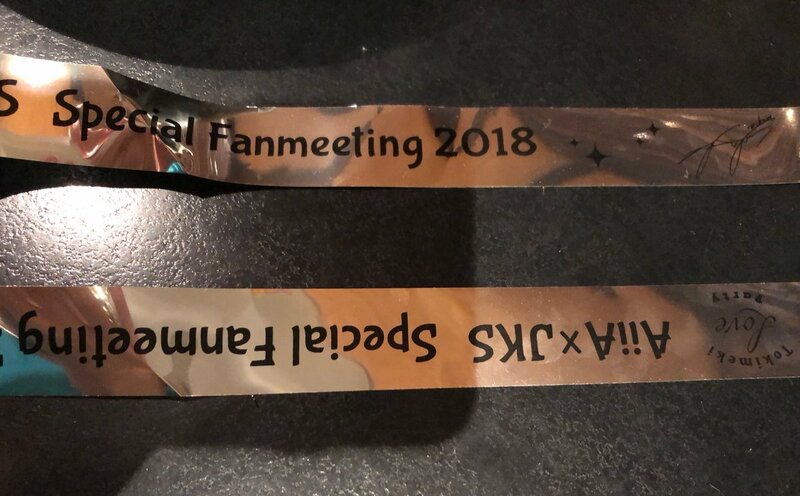 Obviously, all these photos were permitted. 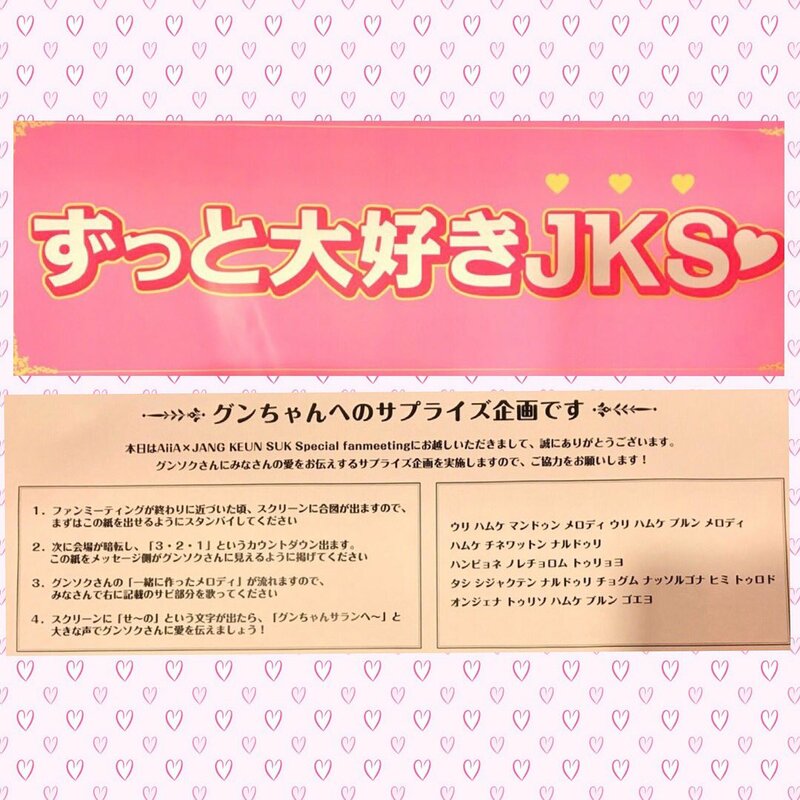 Japanese Eels are very strict about only posting approved photos. I've not quite figured out this photo. The hand is JKS', but why the ring? 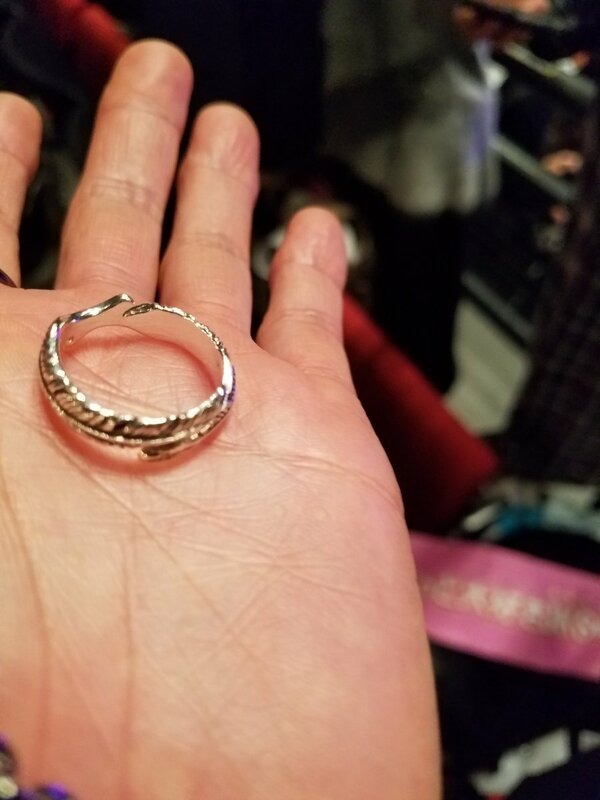 Was it handed to him or did he give it away? 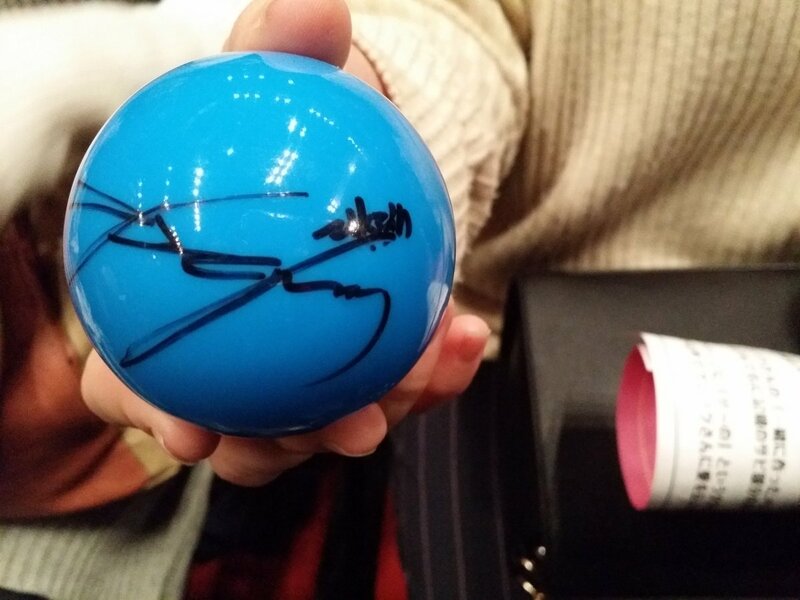 He sometimes gives away special prizes to Eels who attend these fan meetings. 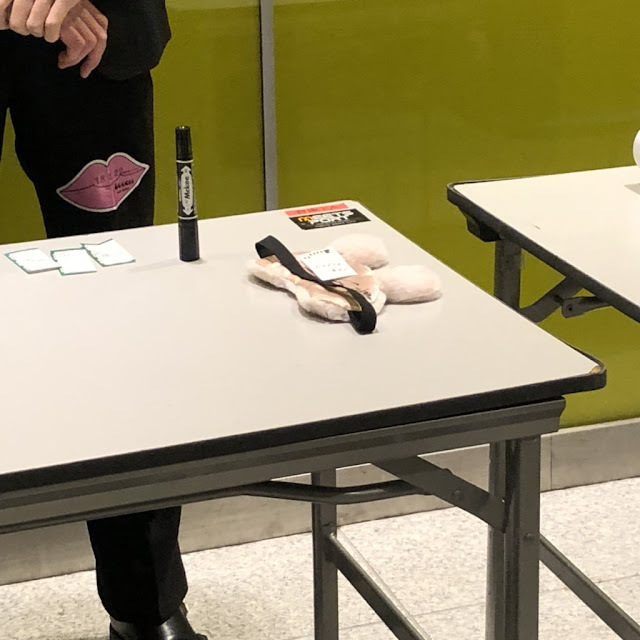 JKS signed and gave away the rabbit eye mask laying on the table. 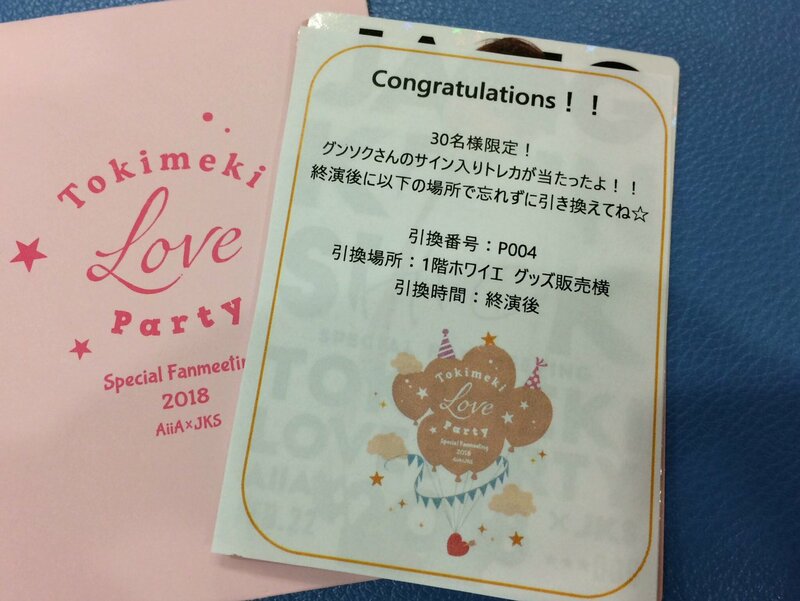 It was probably the prize for the winner of one of the games that are played during these fan meetings. 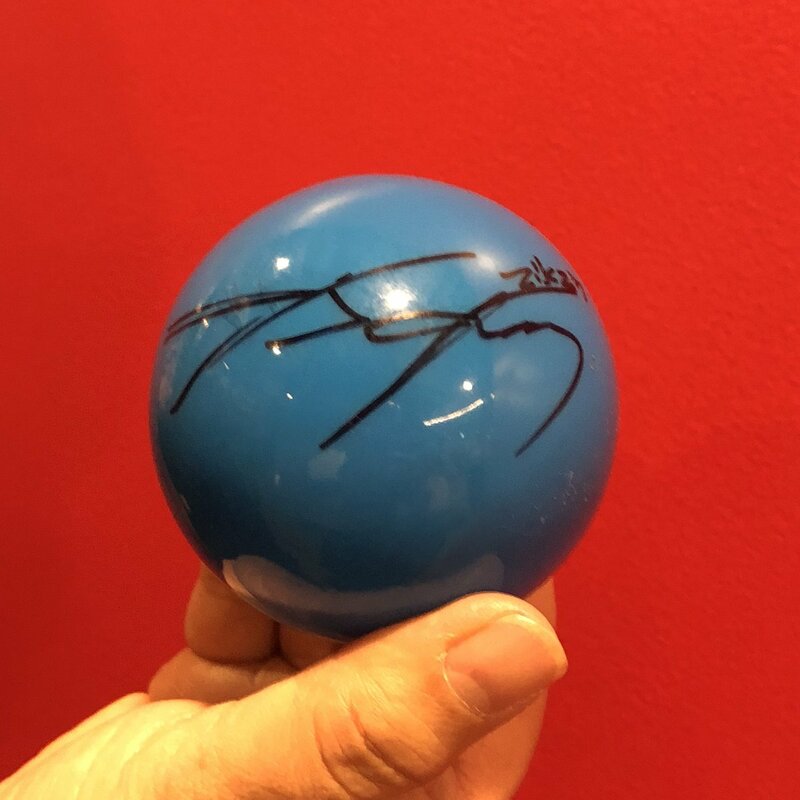 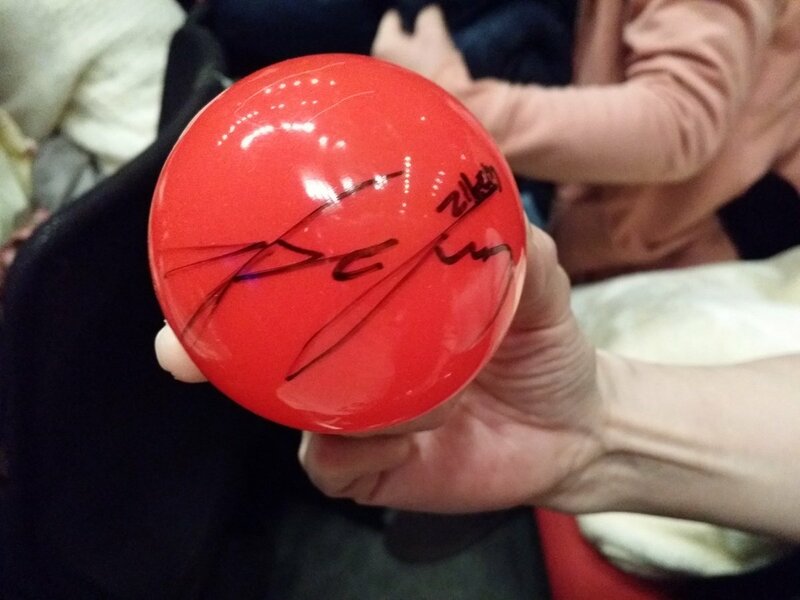 These red and blue autographed balls have something to do with one of games that was played during the fan meeting. From the tweets of Eels who attended the fan meeting, when they took their seats one of these balls,wither in red or blue, was on the seat. 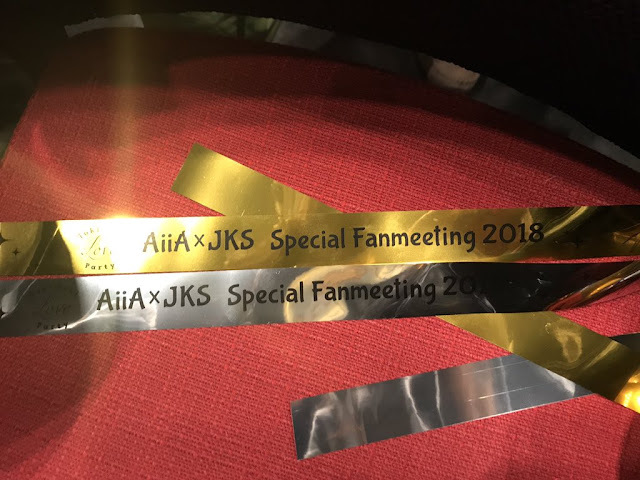 At the end of the fan meeting, Yumi, the moderator, tweeted this photo with a message saying how much fun the fan meeting was...and how much fun JKS is. 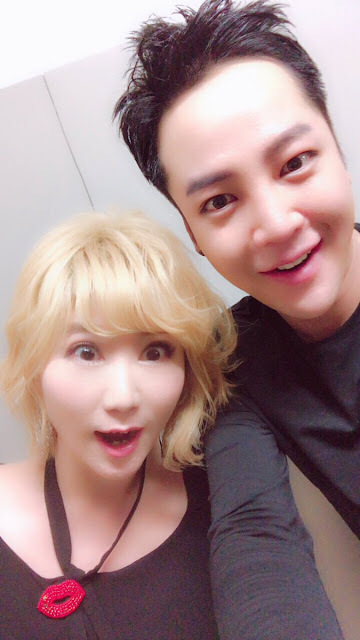 Yumi is the same moderator who has worked with JKS on several previous fan meetings in Japan, most notably the GIFT Fan Meetings last Spring. 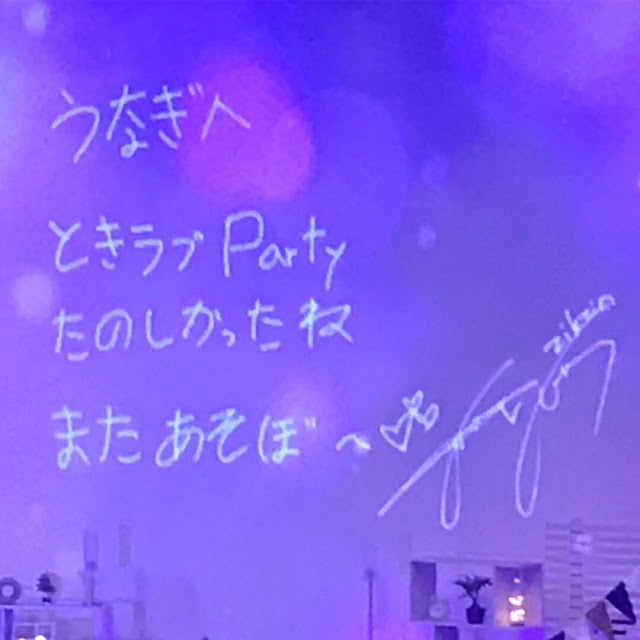 Her tweet read in part, "Thank you from the bottom of my heart, thank you."